Vtiger is an open source CRM system with a modular architecture that makes it a great platform for creating customized CRM applications that integrate well with your business processes. We have created several sales and marketing applications for various industries using Vtiger and are well versed with all the different versions of Vtiger. Vtiger is a collection of various modules that work together to form a complete CRM solution. Modules within Vtiger share data with each other allowing the users access to various information and navigate through the system very efficiently. 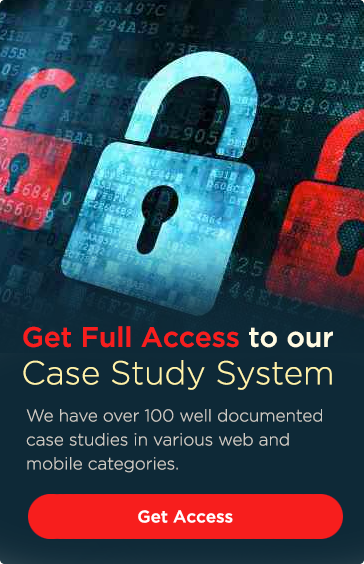 Vtiger offers a very sophisticated user access control mechanism that allows the system to be configured in different ways to provide different levels of access to its users. It is very important to understand the architecture of Vtiger to be able to create or customize modules in the right manner because there are several inherent features of a Vtiger module that must be kept intact during development. Not knowing all the features that make Vtiger so desirable is bound to create developmental flaws. Our experience with Vtiger is very diverse. We have not only implemented Vtiger as a straight CRM solution but have also customized it to different levels to create complete business solutions that handle automations of different business processes integrated with the basic CRM. We are proud to state that our exposure to Vtiger implementation spans many different industries including retail, insurance, finance, manufacturing, software, advertising, marketing etc. Vtiger has changed over the years and many different versions have been released with more features and capabilities. There have been certain architectural changes with newer editions and those have generated need for migrations. We have worked with every Vtiger version since its initial release and have also been involved with migration projects. Theme development in Vtiger is a very small portion of the overall development but is still quite important from branding perspective. Since the evolution of responsive user interfaces Vtiger theme development requires much higher level of UI development skills. Applying Vtiger themes changes the look and feel of the CRM system. Most companies desire a personalized look and feel for the systems they use internally. Using an out of the box solution or a SaaS based solution restricts the changes to the look and feel. Using an open source CRM like Vtiger brings enormous flexibility to organization that consider branding as key aspect of their business. We have deployed many Vtiger solutions for companies that were a part of the advertising industry. Theming was a very important requirement for all these companies. We have actively designed and developed many different Vtiger themes for these companies. Smarty is a PHP template engine that is used heavily within the Vtiger system. Sound technical knowledge of Smarty templates is essential to Vtiger development. Most PHP developers do not have much exposure to Smarty because it uses a syntax that is different from PHP. Smarty tags are used in combination with the PHP code to generate views in an application that uses Smarty. Vtiger views are largely governed by these templates and every Vtiger developer must demonstrate strong skills in Smarty. Vtiger offers a very fine grained access control system that allows configuration of user access levels to create a hierarchical system suited for most organizational structures. Understanding how the access control mechanisms apply to the Vtiger system at a modular level is a very important aspect of Vtiger development. The developers must ensure that the access control functions are embedded in the correct manner to inherit the control mechanisms within new or customized Vtiger modules. This ensures that the inherent settings of Vtiger can be reused to gain the maximum advantage of a Vtiger system. 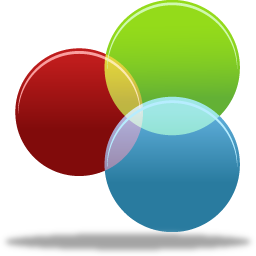 Vtiger integrates well with various third party systems. Some of these integration bridges are developed by Vtiger while others are created by different organizations that are active Vtiger users and developers. Working with third party modules requires a thorough understanding of the third party system, which can vary depending on the business requirements. 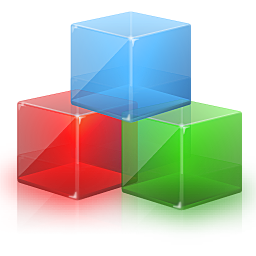 Some of the more commonly used third party modules include Outlook, QuickBooks and Google Email/Calendar. We have had the opportunity to create different third party extensions for Vtiger. 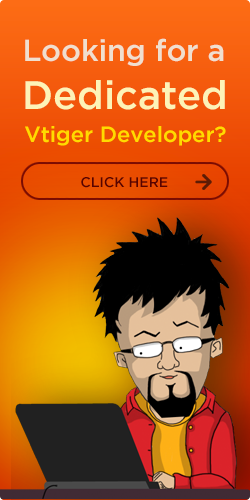 Vtiger has evolved over the years and several different versions have been released since its initial launch. With the evolution of Vtiger system, migration has become one of the key components of Vtiger implementation. We have encountered many different situations with Vtiger implementations where large data sets had to be migrated from another system into Vtiger. In certain other situations we have upgraded Vtiger from one version to another and have moved the production data to the upgraded version successfully.